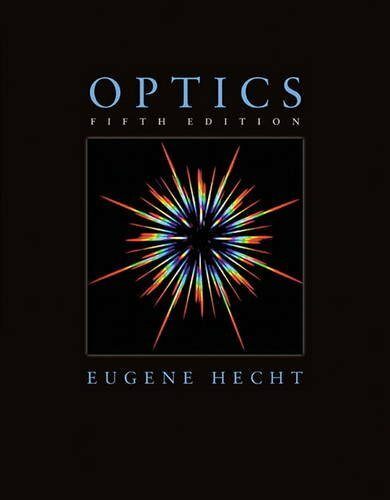 A Contemporary Approach to Optics with Practical Applications and New Focused Pedagogy Hecht Optics balances theory and instrumentation to provide you with the necessary, classical background through a lively and clear narrative. Optics, Fifth Edition is distinguished by three core imperatives for the reader: up-to-date content in line with the ever-evolving technological advances in the Optics field. a modern approach to discourse including studies on photons, phasors, and theory. and improvements and revisions to the previous edition’s pedagogy including over one hundred new worked examples.